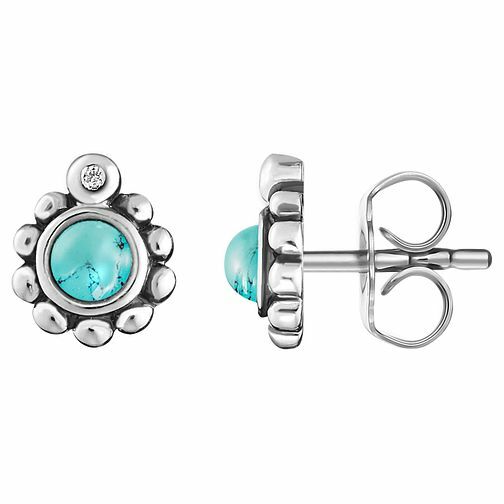 Thomas Sabo Glam & Soul Turquoise Diamond Stud Earrings is rated 1.0 out of 5 by 1. Rated 1 out of 5 by Anonymous from Teeny weeny tiny I bought these earrings online and there was a warning on the packet that if you opened the sticker seal you could not send them back but they are so small I couldn't actually see what they were like without opening them. If I could I would definitely have sent them back. They are not even real turquoise and you'd need a magnifying glass to see the 'diamond'. In short really, really disappointing you are paying for the name. I would never buy this brand again, for silver I am sticking to Links of London which is also price but their ite ms look substantial.